With any assessment used for career matching, it is important that it be valid and reliable. It is also important that it be applied with that same care. When you add age as a criteria, you are simply being more specific about validity and reliability – that is – you are wanting the assessment, the output or report and the process to be valid and reliable for the typical 14 year old. A Validity score is simply stating how accurately the assessment is for what it measures. A Reliability score is simply stating how accurately the assessment measures the same thing over time. More info on validity and reliability here. With the Career Coaching for Students™ program for 14 year olds, we use two assessments that measure behavioral style and personal motivation (personal interests, attitudes and values). Behaviors and Motivators are two areas of talent that have extensive career matching data and are two areas that employers look at with assessments to determine job matching of candidates. The assessment we use, Talent Insights for Students™, is highly engaging and serves to bring exceptional clarity about the students strengths and interests based on behavioral style and personal motivators. For both areas measured, the validity and reliability for anyone who has an 8th grade or higher reading ability is very strong. The next concern is about the assessment output or client report. Any assessment that produces a simple list of job titles is not going to be helpful. In fact, it can be damaging or at the least discouraging. Without guidance, many teens will “check out” once they receive a list of job titles that appear to be nonsensical, even if buried in the list are some good possibilities. One or two erroneous, nonsensical job titles or a list of 50 titles without a way to reduce the list most likely invalidates the entire list from the student’s perspective. Engaging the student means giving them information and a process for working with that information. An excellent assessment report will provide insight to the student in a manner that produces very high “face validity”. Face validity is the simple reading and agreeing by the recipient. From the parent’s perspective, parts of the Talent Insights for Students report, specifically the behavioral section, will be easily validated this way by the parent. However, parents report learning a great deal about their child when they read sections of the report that cover the student’s personal interests, attitudes and values. The typical statement by parents that we hear is “I had never thought of that before but now it makes perfect sense“. These personal interests and values are sometimes called the “hidden motivators” only because they aren’t easily recognized when observing the behaviors of a person. A person’s motivators tell us why they do something. A person’s behavioral style tells us how they do something (observable). The next critical component for 14 year olds is the career evaluation process. The process or steps the student [and career counselor] is provided in the program guidebook should empower the student to easily narrow the entire world of opportunity. Through a proven and easy-to-follow process, the student identifies career possibilities from their behavioral style and motivators. The goal of the process is to filter a larger list of high-potential possibilities into three to five high-potential career options that they are “positively curious” about. The student then performs high-level research on each to determine a top interest with 2 or 3 strong backup career interests. Students use the #1 choice to dive deep on the research, talk to people in the career, job shadow, flush out education requirements, college major, best school choices, etc. At any time they can switch to their #2 or #3 choice knowing any of the choices are a strong match to their talent profile. The key for the 14 year old is that the assessment is valid and reliable with 8th grade reading comprehension, the output provides an excellent opportunity to build self-awareness and the process is engaging and valid from the students’ perspective. Studies show the behavioral style and motivational design of an individual is well developed and relatively stable by the teen years. The student’s behavioral style may shift slightly by the time they graduate high school but not much. This slight behavioral shift will not alter the usefulness of the career interest process used in the Career Coaching for Students™ program. Want more information about Career Coaching for Students? Let us know! Carl Nielson is the founder of Success Discoveries and creator of the Career Coaching for Students program. Carl is also a consultant to large, multi-national companies and small-family-owned businesses, providing applicant assessments, executive coaching and organizational development services. In life, there are so many options and decisions to make. For high school students, decision making skills are critical yet one study showed incoming college freshmen engineering students who were assessed using a specific personal skills assessment scored “decision making” at the bottom of their developed skills. And as seniors, college students did not show a significant improvement in the Decision Making competency. Students may get input from family, teachers and friends. But, they are still not convinced – and shouldn’t be convinced – that they have the right answers. 1. Define the problem you are facing? What is the problem to be solved (e.g., what classes to take next semester, what college major to choose, what college to choose, what career to choose)? Write down the problem statement so you are clear on what you are trying to resolve. Write down why you should solve this issue (e.g., what are your priorities) and any qualifiers for the best solution (example: I want to choose a major that leads to great career options and a high paying job when I graduate). This step gives you an idea of how important this decision is and what to consider. 2. Gather information. Ask for advice. Write down what you need to learn. Interview people (e.g., parents of friends, your own parents, other students). What do others who have already been through this say? Gather information from valid sources (e.g., speak to your school counselor, check for useful information on the Internet) What facts are important to consider? What is holding you back from gathering information (e.g., fears, etc.). This step provide you with both objective (non-biased) and subjective (biased) information. 3. What is important to you? You may have listed some important things in your problem statement in step one. Here you want to list those tangible values that further qualify the possibilities. What conditions must be met? 4. Brainstorm and write down your possible options. Come up with ideas and choices you can choose from. Organize them. 5. Create a plan for researching your ideas or choices and carry them out. Create a plan of specific steps with deliverable dates (everyone works better with deadlines) that you will take. Begin to carry out your plan. 6. Remove barriers. As you begin and throughout the process of carrying out your action plan, look for barriers to accomplishing what you want and take proactive action to mitigate (reduce) the impact of any barrier to achieving your goal. 7. Summarize your action plan. Provide a recap of what you are doing for yourself, and share the recap and the process you went through with your parents and other important stakeholders. 8. Identify the consequences (good and bad) of each choice? Use steps 2 and 3 to help determine the pros and cons of each possible choice listed in step 4. Write these down in a table so you have all the data right in front of you. Create a decision T-diagram for pros and cons to the option and, with your shorter, best possible options, analyze the strengths, weaknesses, opportunities and threats of the option. 9. Decide on the best choice for you. This is much easier after you go through the above steps. Rate your options if you have to. Rank order based on your research. Take a few days to think about it if you need to and then come back to your dilemma. 10. Measure the results. This can only be done once you made your decision, carried out your plan, and received feedback. How would you rate your decision? What about the steps you took? Are you still meeting the things important to you. What lessons did you learn? This is an important step for strengthening your decision-making skills. If you find your decision didn’t work out well the first time around, use what you learned when you go back to the drawing board and re-evaluate your choice. If the first choice didn’t turn out right, it doesn’t mean game over. Retrace your steps and start from the best place possible. Are high school students provided access to competent career coaching and career, education and life planning exploration tools? Since we all live busy lives, we are looking for tools and support that are easy to use and bring true value and benefits – saving time and money in the long run – not to mention greater self-esteem and confidence for the student. It would be great to get instant answers. 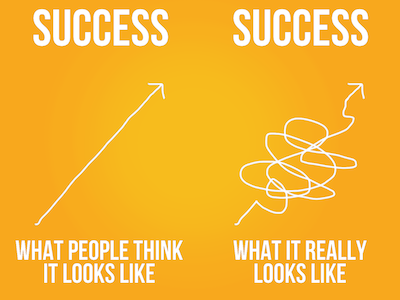 However, searching for the right career is a journey – a process. Tools make the journey easier. • Learning about careers that match You, Inc. Even the Home Study self-directed program provides two 2-hour personal sessions with a career coach using distant-coaching technology (via phone and Internet) to get you started. The tools provide students with the answers needed to successfully decide on a career direction – or to feel confident you’ve shortened the list to a very manageable two or three career areas to further evaluate. Once you purchase the program, you get immediate access to the student assessments and client resources. We also offer the most comprehensive and extensive student resources that students need to explore careers, school choices, majors and much more – to make the correct decisions. by Carl Nielson, Chief Discovery Officer, Success Discoveries, and creator of Career Coaching for Students, a program for high school students. I work with high school students rather often considering I’m not a teacher or school administrator. What I’m sensing is that student well-being is important – for two key reasons. The first reason is the recognition that schooling should not just be about academic outcomes but about well-being of the ‘whole person’; the second is that students who have higher levels of well-being tend to have better cognitive outcomes at school (an important goal of most high schools). I provide a program called Career Coaching for Students™ which is how I’ve come to work with so many high school students. This program has a key component – to focus on the whole student, to establish a sense of well-being on multiple levels while exploring self and possible futures. According to the Australian Centre for Education Statistics & Evaluation, in May 2015, they released their literature review into Student Well-Being. You can access the entire document here. It clearly and concisely lays out all the considerations important for addressing student well-being in schools. It also offers dozens of research papers to explore by way of referencing. A sustainable state of positive mood and attitude, resilience and satisfaction with self, relationships and experiences at school. Assuming your school or organization is keen to address well-being in a meaningful way, the literature suggests you need to have 5 things in place. 3. Learning Engagement – Students can engage with a school at social, institutional and intellectual levels. When people work with their strengths, they tend to learn more readily, perform at a higher level, are more motivated and confident and have a stronger sense of satisfaction, mastery and competence. 4. Social & Emotional Learning – Social emotional learning (SEL) is an educational process for learning life skills but many of the aspects can be found in other more reactive problem-focused educational programming such as character education, restorative justice, peer mediation, bullying prevention, anger management, drug/alcohol prevention, violence prevention, school climate, ethical-decision making, harassment prevention, positive behavior supports. SEL teaches mental skills that lead to understanding and managing emotion, setting positive and realistic goals, building long-lasting relationships, showing empathy for others, and constructive and ethical problem-solving skills. 5. Whole School Approach – a culture of high expectations for all students with teachers who emphasize continuously improving their own thinking, skills and tools. Well-being must be integrated into the school learning environment, the curriculum and pedagogy, the policies and procedures at schools, and the partnerships inherent within and outside schools including teachers, students, parents, support staff and community groups. I believe that engagement and well-being are at the crux of what highly successful schools focus on and if we get this right, outcomes will – largely – look after themselves (for staff as well as students). But still… too many schools, organizations and systems pursue the wrong outcomes at the expense of engagement and well-being, and then they struggle to understand why staff, students and the wider community are so disaffected. So what do you want to do with your life? Career Coaching for Students™ and Life Skills for Students™ is primed and ready for mass delivery in high schools. But in the meantime, if you are a parent wanting to provide your high school student (incoming 9th grade is a perfect time) with a kind of well-being that leads to higher engagement and success, visit the Home Study version of the Career Coaching for Students program (which includes the Life Skills for Students self-study curriculum). Seth Godin published a book in 2010 called Linchpin which quickly became popular. This article is dedicated to his teachings from the book – mostly quotes from the book. I encourage any high school student to buy the book and read it. If you are a parent of a student, read it. If you work in the home or outside the home, read it. In the book, Godin positions work by first stating “The job is what you do when you are told what to do. The job is showing up at the factory, following instructions, meeting spec, and being managed. Someone can always do your job a little better or faster or cheaper than you can. The job might be difficult, it might require skill, but it’s a job. On the other hand, your art is what you do when no one can tell you exactly how to do it. Your art is the act of taking personal responsibility, challenging the status quo of your own work, and influencing change in people and processes to achieve goals. Art isn’t only a painting. Art is anything that’s creative, passionate, and personal. And great art resonates with the viewer, not only with the creator. What makes someone an artist? Godin states that he doesn’t think it has anything to do with a paintbrush. There are painters who follow the numbers, or paint billboards, or work in a small village in China, painting reproductions. These folks, while swell people, aren’t artists. On the other hand, Charlie Chaplin was an artist, beyond a doubt. So is Jonathan Ive, who designed the iPod. You can be an artist who works with oil paints or marble, sure. But there are artists who work with numbers, business models, and customer conversations. Art is about intent and communication, not substances. An artist is someone who uses bravery, insight, creativity, and boldness to challenge the status quo of their work. And an artist takes personal responsibility. That’s why Bob Dylan is an artist, but an anonymous corporate hack who dreams up Pop 40 hits on the other side of the glass is merely a marketer. That’s why Tony Hsieh, founder of Zappos, is an artist, while a boiler room of telemarketers is simply a scam. Tom Peters, corporate gadfly and writer, is an artist, even though his readers are businesspeople. He’s an artist because he takes a stand, he takes the work personally, and he doesn’t care if someone disagrees. His art is part of him, and he feels compelled to share it with you because it’s important, not because he expects you to pay him for it. Art is a personal gift that changes the recipient. The medium doesn’t matter. The intent does. Art is a personal act of courage, something one human does that creates change in another. The secret to being wrong isn’t to avoid being wrong! The secret is being willing to be wrong. The secret is realizing that wrong isn’t fatal. Here’s the truth you have to wrestle with: the reason that art (writing, engaging, leading, all of it) is valuable is precisely why I can’t tell you how to do it. If there were a map, there would be no art, because art is the act of navigating without a map. The dimension of work that has a map isn’t where your art is applied. Your art is applied where the map stops. Perhaps your challenge isn’t finding a better project or a better boss. Perhaps you need to get in touch with what it means to feel passionate. People with passion look for ways to make things happen. If you are deliberately trying to create a future that feels safe, you will willfully ignore the future that is likely. At the age of four, you were an artist. And at seven, you were a poet. The lizard brain is hungry, scared, angry, and horny. The lizard brain only wants to eat and be safe. The lizard brain will fight (to the death) if it has to, but would rather run away. It likes a vendetta and has no trouble getting angry. The lizard brain cares what everyone else thinks, because status in the tribe is essential to its survival. A squirrel runs around looking for nuts, hiding from foxes, listening for predators, and watching for other squirrels. The squirrel does this because that’s all it can do. All the squirrel has is a lizard brain. The only correct answer to ‘Why did the chicken cross the road?’ is ‘Because it’s lizard brain told it to.’ Wild animals are wild because the only brain they posses is a lizard brain. The lizard brain is not merely a concept. It’s real, and it’s living on the top of your spine, fighting for your survival. But, of course, survival and success are not the same thing. The lizard brain is the reason you’re afraid, the reason you don’t do all the art you can, the reason you don’t ship when you can. The lizard brain is the source of the resistance. Discomfort brings engagement and change. Discomfort means you’re doing something that others were unlikely to do, because they’re hiding out in the comfortable zone. When your uncomfortable actions lead to success, the organization rewards you and brings you back for more. If you need to conceal your true nature to get in the door, understand that you’ll probably have to conceal your true nature to keep that job. Transferring your passion to your job is far easier than finding a job that happens to match your passion. …Treasure what it means to do a day’s work. It’s our one and only chance to do something productive today, and it’s certainly not available to someone merely because he is the high bidder. A day’s work is your chance to do art, to create a gift, to do something that matters. As your work gets better and your art becomes more important, competition for your gifts will increase and you’ll discover that you can be choosier about whom you give them to. The competitive advantages the marketplace demands is someone more human, connected, and mature. Someone with passion and energy, capable of seeing things as they are and negotiating multiple priorities as she makes useful decisions without angst. Flexible in the face of change, resilient in the face of confusion. All of these attributes are choices, not talents, and all of them are available to you. The tragedy is that society (your school, your boss, your government, your family) keeps drumming the genius part out. The problem is that our culture has engaged in a Faustian bargain, in which we trade our genius and artistry for apparent stability. The problem with competition is that it takes away the requirement to set your own path, to invent your own method, to find a new way. As our society gets more complex and our people get more complacent, the role of the jester is more vital than ever before. Please stop sitting around. We need you to make a ruckus. You cannot create a piece of art merely for money. Doing it as part of commerce so denudes art of wonder that it ceases to be art. …the greatest shortage in our society is an instinct to produce. To create solutions and hustle them out the door. To touch the humanity inside and connect to the humans in the marketplace. Not only must you be an artist, must you be generous, and must you be able to see where you can help but you must also be aware. Aware of where your skills are welcomed. When you set down the path to create art, whatever sort of art it is, understand that the path is neither short nor easy. That means you must determine if the route is worth the effort. If it’s not, dream bigger. I think art is the ability to change people with your work, to see things as they are and then create stories, images, and interactions that change the marketplace. The combination of passion and art is what makes someone a linchpin. A brilliant author or businesswoman or senator or software engineer is brilliant only in tiny bursts. The rest of the time, they’re doing work that most any trained person could do. If you can’t be remarkable, perhaps you should consider doing nothing until you can. The reason you might choose to embrace the artist within you now is that this is the path to (cue the ironic music) security. There is a great deal of advice when it comes to students preparing to compete in the global economy. Showcasing your abilities properly has now become more complex – and more critical. For example, a resume is a strategic tool designed to give you the edge over other applicants (for summer jobs, internships, and eventually that first job after school). When you use a Google search for resume writing, you receive 12.7 million hits. For most students, thinking about writing a strong resume is a “just-in-time” exercise. For many seniors in high school, that [strong resume] train has already left the station.But regardless of where the student is in their journey, it is never too late to start. A resume reflects what has been. Students that have a desire to be competitive a few years from now need to be thinking about how they want their resume to look starting in their freshman year of high school. A resume matters when applying to colleges, especially the more academically elite colleges. A resume matters when you try for the internship that 500 other students are going for and there is only one position available. A resume matters when you are about to graduate from college and are trying to get interviews with the better employers. But the strength of the content of that resume starts with the beginning of secondary education – or earlier. It only makes sense that the better employers are looking for the better students. GPA is only one measure and it may not be the main one. News bulletin: Your grades aren’t the beginning and end to creating opportunities. When writing resumes, a strong GPA is a great attention grabber but it is only a beginning. According to Heather R. Huhman, a Glassdoor career and workplace expert, experienced hiring manager, and founder & president of Come Recommended, a content marketing and digital PR consultancy for job search and human resources technologies, many of today’s job seekers tend to forget to include the things they’re passionate about or experiences they’ve gained outside of their academic accomplishments. For many students, thinking beyond next weekend can be challenging. The reality is many students find themselves scrambling about their second year of college because they don’t have many things to list on their resume. Getting through school is the minimum you are expected to do. It is all the other things you do – or don’t do – that will determine your competitiveness – and the quality of your future opportunities. So you have a 4.0 and you are in the top 5% of your high school graduating class ranking. With nothing else to add, you will likely not have as many options when it comes to college application acceptances, internships and ultimately those “first job” offers upon graduation from college. A strong GPA is valuable but it isn’t any where nearly as valuable as a high GPA and several extracurricular achievements. Freshman in high school have the best opportunity for setting the stage for having a “totally awesome” resume that will pay big dividends to stakeholders of “You Inc.”. And by the way, you (the student) are the majority stockholder in You, Inc.
1. 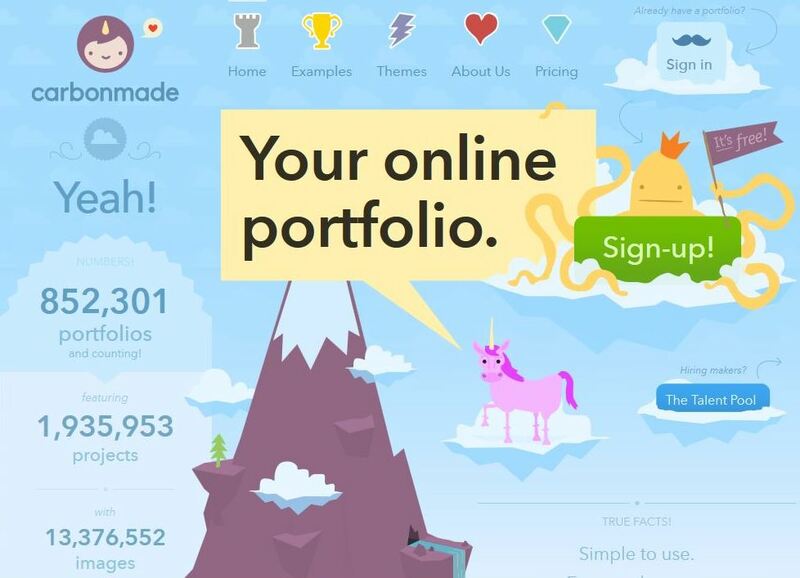 Build a professional website, blog or online portfolio. One of the things that seems to impress employers when they research candidates is whether the individual has a professional website or blog. In the online information portal called Student Resource Central, an entire category is dedicated to Social Media and Online Portfolios. The top 14 online tools are listed – some you might be aware of, and some so cool you must use them. If you’ve created a professional website to showcase your knowledge, passions, expertise and accomplishments, you should definitely include a link to your website or portfolio in your future resume. Starting in high school and adding to it each year will set you apart from the competition. Your social media presence is another important element. When using social media, be mindful of what you showcase. Ideally, keep your social media clean of controversial language, political views and immature content. Start thinking like a professional. Assume anyone considering you for college admission, internships or job opportunities will find your content. Employers value entrepreneurial experiences. Use any freelance opportunities to help you shine. One high school student turned a photography hobby into a revenue producing part time job. According to a survey of Generation Y workers (those ages 18-29), the third-most common college major for that group is “entrepreneurial studies,” and there are now 2,364 post-secondary institutions offering entrepreneurship and small business programs. Even if these students don’t become an entrepreneur, chances are they may go on to get a job with a young, venture-backed company or work for an established corporation that places high value (higher starting salaries) for entrepreneurial behaviors. Showcase your freelance experience in your resume. Keep track of your accomplishments and people/organizations you’ve worked with. 4. Awards or special recognition. Have you received special recognition for being an outstanding contributor? You are in control of this more than you may think. 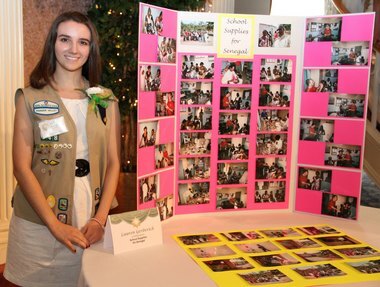 Look for intentional ways to be recognized through your volunteer work, such as tutoring younger students, or through structured programs such as achieving the rank of Eagle scout in the Boy Scouts of America or the Gold Award in the Girl Scouts or by acts of service in your church or community. Plan to graduate with honors in high school and college. You will want to include these accomplishments and awards in your resume. Job seekers who have certifications in a specific tool or skill or knowledge area can definitely benefit from including those items in their resume. Very few students see this one. A friend of mine helped his daughter study for and pass several certification exams, normally designed for professionals, before she entered college. 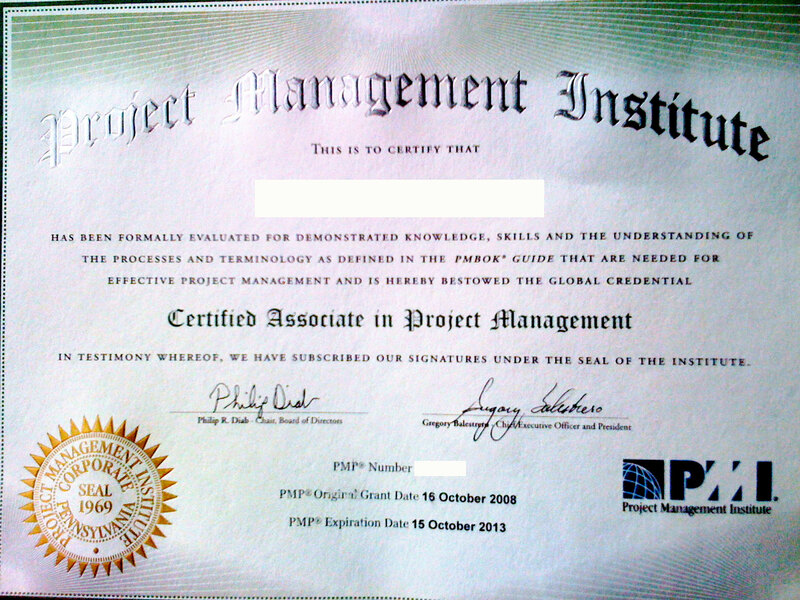 Many certifications require some kind of experience or completion of a related project as evidence of applicable knowledge. You don’t have to be employed in a traditional job to meet these requirements. Search out the opportunity or ask those adults in your network for support. An industry-specific or career-specific certification will definitely help you stand out. Similar to freelance work, side projects are a type of structured work that has timelines and outcomes. But they may not be tied to revenue. Volunteer work or helping your parents in the family business can be very powerful. For Eagle Scouts or Gold Award recipients, a project is required to receive the award. Be sure to include these projects, not just the award. Look for ways to claim significant accomplishments in your personal life and definitely include them on your resume. Look for opportunities to volunteer. 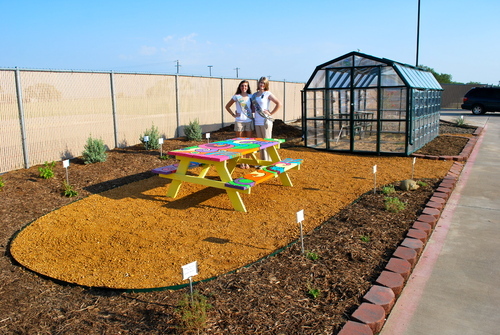 Through school, many clubs or honors programs require volunteer work. Try volunteering every Saturday at a local food bank for the summer Are you into a particular sport? See if you can be an assistant coach on a youth recreation league (and get certified to be a youth coach while you’re at it). Look for unpaid internships too. 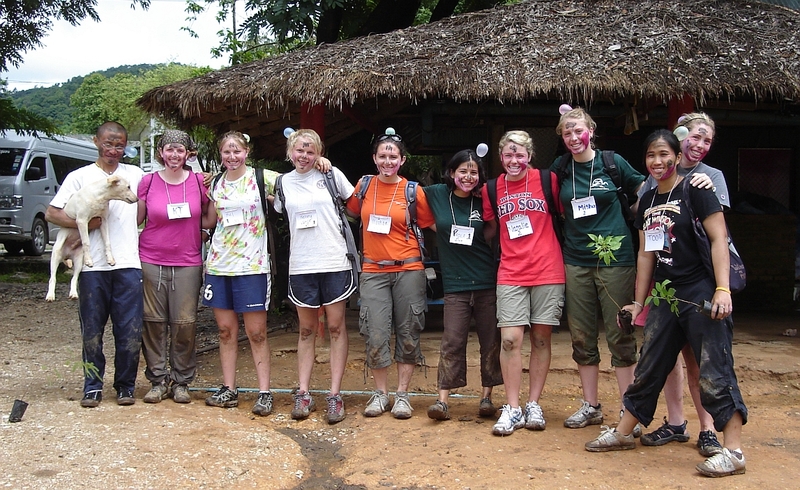 Volunteer experiences such as these can help you make a very strong impression on admission counselors or employers. Volunteer work also shows employers you have leadership and project management skills. Carl Nielson is Chief Discovery Officer of Success Discoveries and Managing Principal of The Nielson Group, an organizational development consulting firm serving Fortune 100 company clients. As creator and master trainer of the Career Coaching for Students program for high school students and Career and Success Skills Mastery for College Students and Recent Grads, Carl and his team of licensed facilitators across North America have helped thousands of students find a better way through a career exploration process that works. Self-directed assessment and career exploration coaching packages start at $399. Local public workshops, distance-coaching and in-school programs available. Call for more information at 972.346.2892. What’s the Key to Success in Life? Highlight the top four responses (your favorites). Why were they your top four? Were there similarities based on gender or cultural background, etc.? Of your top four, what industry or job did the respondent list? Which responses did you not like? Why? Supporting teenagers to find their own voice in the world is what Career Coaching for Studentstm is all about. Let me know if you’d like more information.